DAN CAPPELLAZZO/STAFF PHOTOGRAPHERNiagara Falls - Mac Street Rider owner Ric McClure and fellow instructor Justin P. Eulrich goes over motorcycle safety with area riders during a class at 2221 Niagara Falls Boulevard. Along with instruction, Mac Street Rider also provides motorcycles and helmets for use on the course. 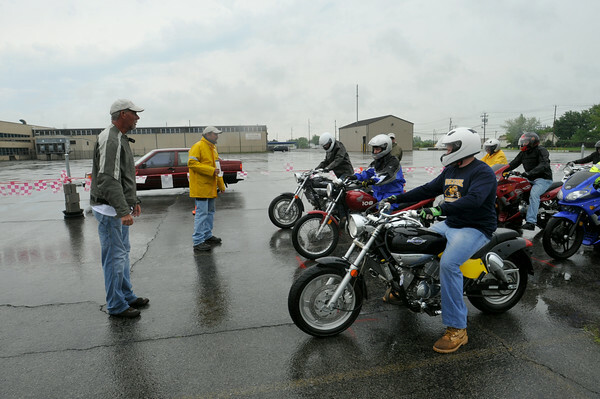 Inside the classroom, Ric McClure and his team of rider coaches teach about the different types of motorcycles and the operation of basic controls, as well as instilling what’s needed to become a safer, more responsible rider. The program is designed for riders 16 and older.